Celebrated crime novelist Victor Gischler (Gun Monkeys, Pistol Poets) delivers a blistering one-shot tale of Marvel’s greatest vigilante! Vette’s little black book is a treasure chest of dark secrets. Movie stars, politicians, gangsters — they all pay to play. 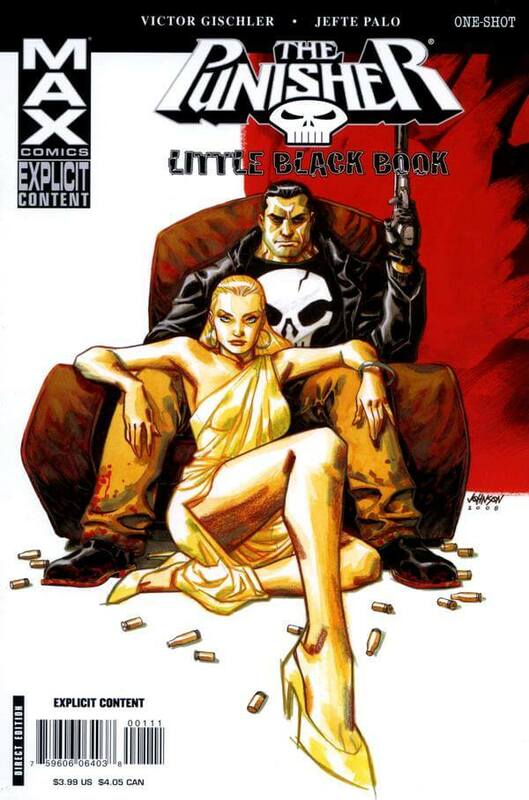 Tonight, she is making a house call…and the Punisher is riding shotgun. Because one of the names in that book is Carlos Ramirez, a powerful Miami drug lord who hides in an impenetrable fortress, and Vette is the Punisher’s best ticket inside. Before the night is through, Vette will learn a thing or two about what really lurks in the hearts of men, about the difference between dogs and wolves.